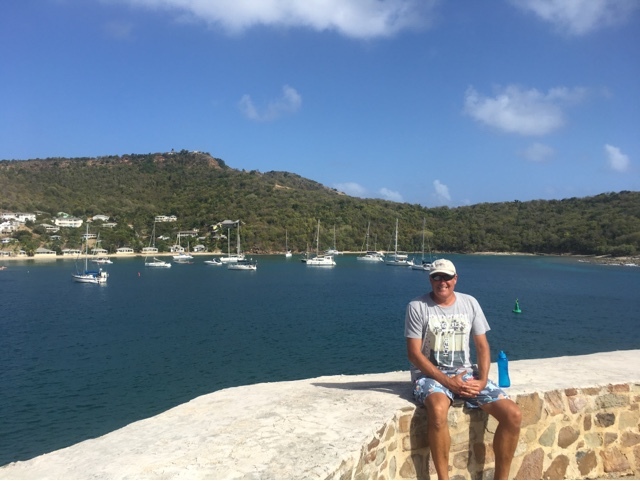 We spent two lovely nights at anchor in Falmouth Harbour, we hadn’t been into Falmouth Harbour before so decided we should check it out. 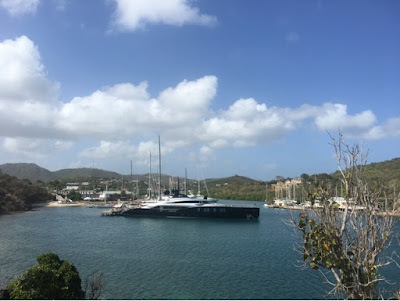 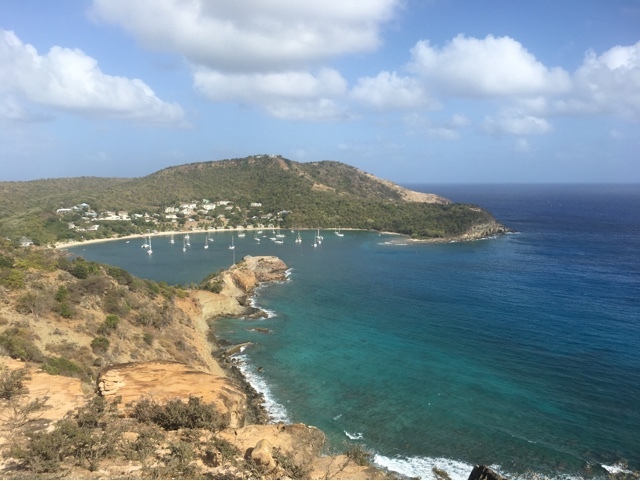 When we walked over to English Harbour and Nelsons Dockyard later in the day we were pleased with our choice, after we saw that a huge chunk of the anchorage in English Harbour is now a superyacht dock – wow we didn’t expect that. 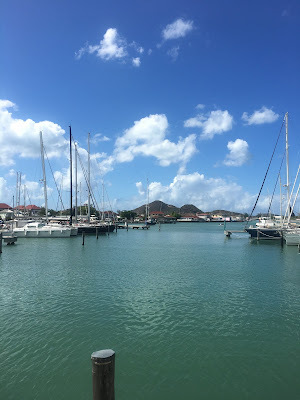 We were really pleased to see how well maintained Nelsons Dockyard was; there had been a lot of work since we were last there and it was such a treat to walk around this gorgeous historical place. 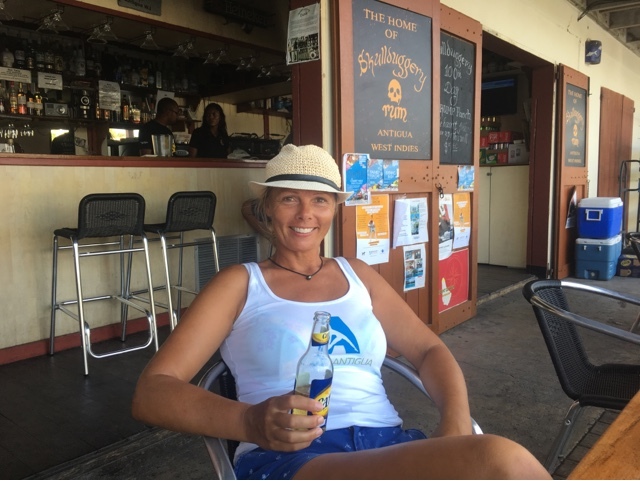 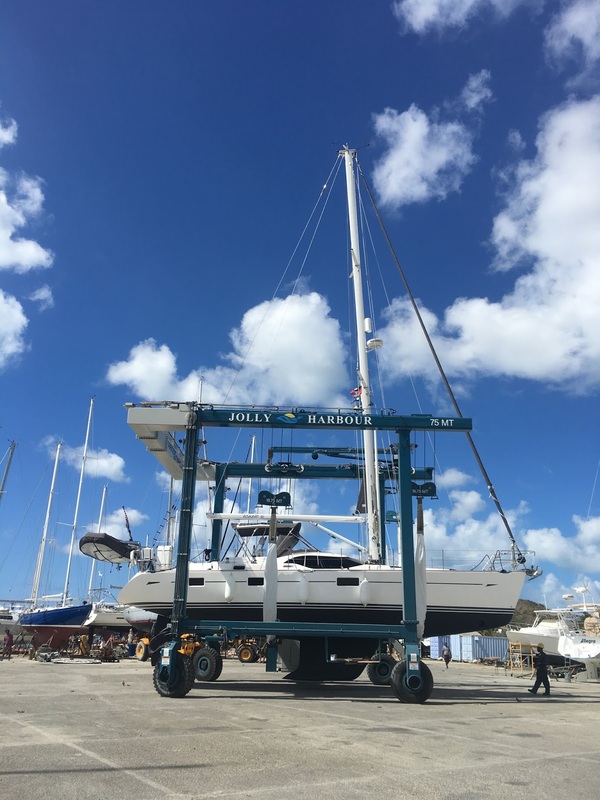 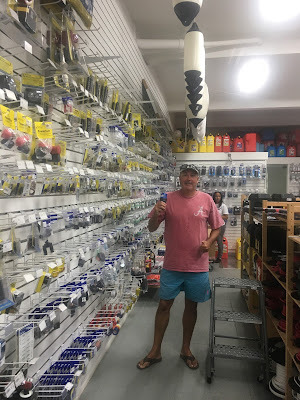 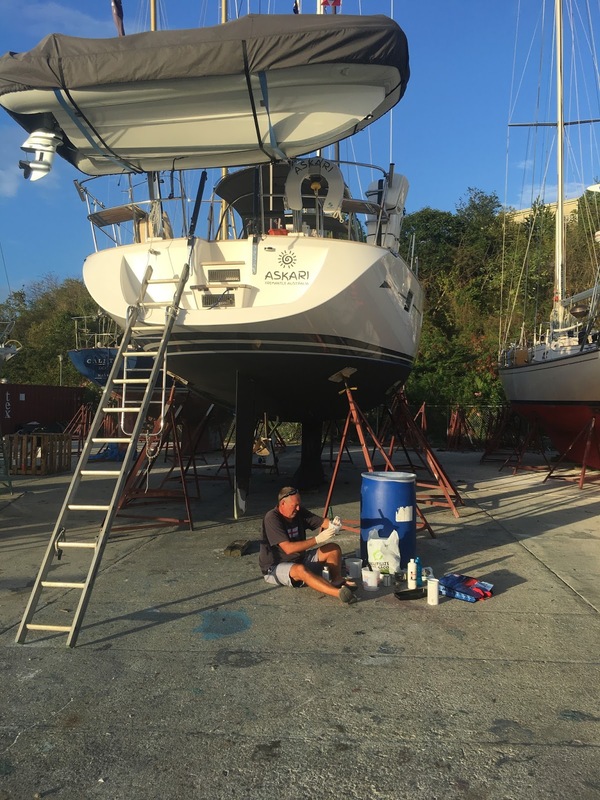 We also had a surprise when we found Aqualuna on the dock – Gabbie invited for a quick drink before they went off for lunch and we did the same back in Falmouth at the Antigua Yacht Club. 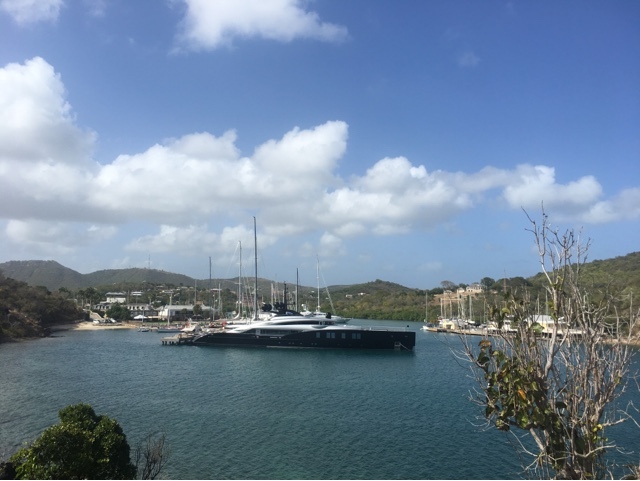 New Superyacht Dock - would Nelson approve?? The next day we explored the bay in the dinghy and checked out the Cat Club area for lunch, before heading back over to English Harbour for a lovely walk over the Middle Ground back to Pigeon Beach with stunning views of both harbours and the Atlantic Ocean, with just goats for company. 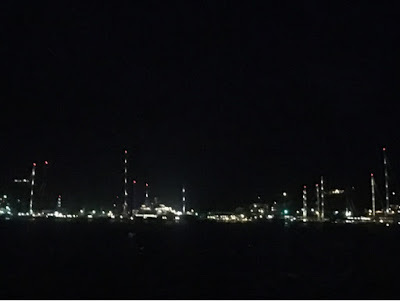 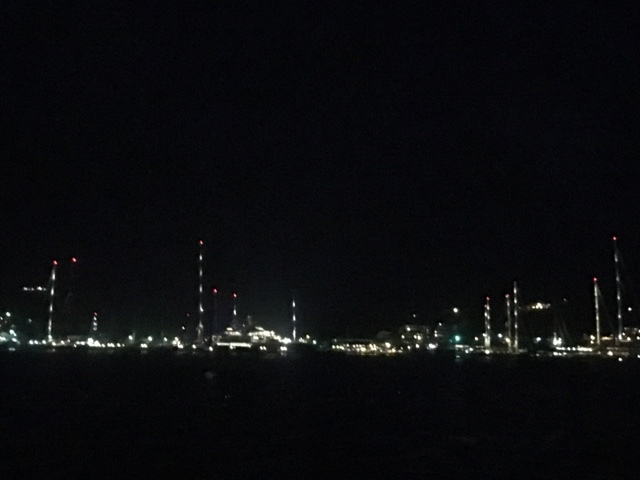 The yachts in Falmouth were just huge, at night the lights make the shore look like a power plant, so many high masts covered in lights. 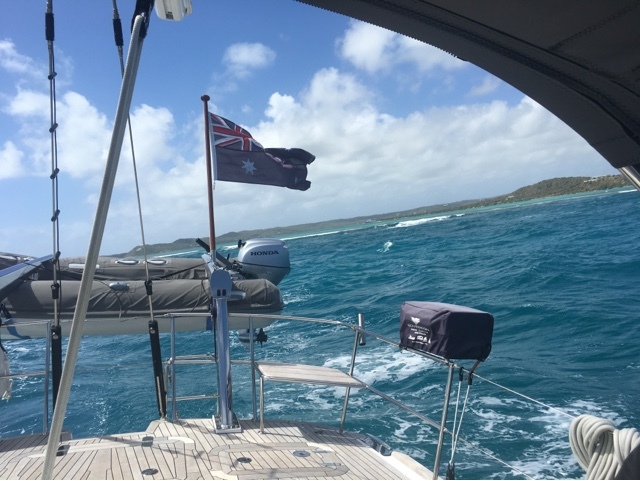 Then Friday morning the lightish winds gave us the chance to hop further around the coast to Non Such Bay – one of our favourite anchorages last time we were in Antigua. 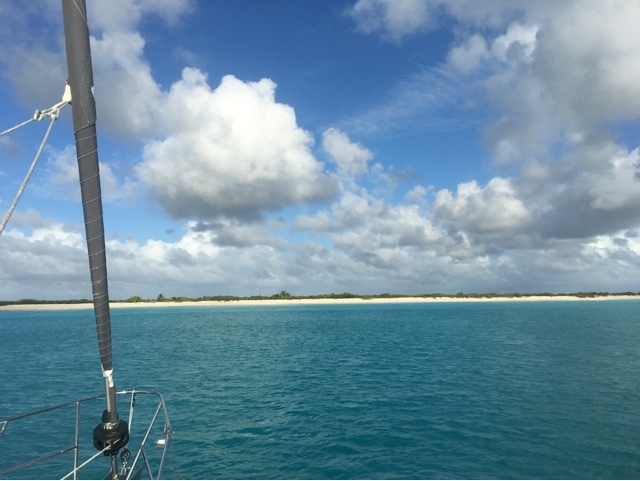 The short trip around the coast was still pretty bouncy directly into the wind and Atlantic swell but we soon tucked in the pass to the calm waters of this stunning huge bay. 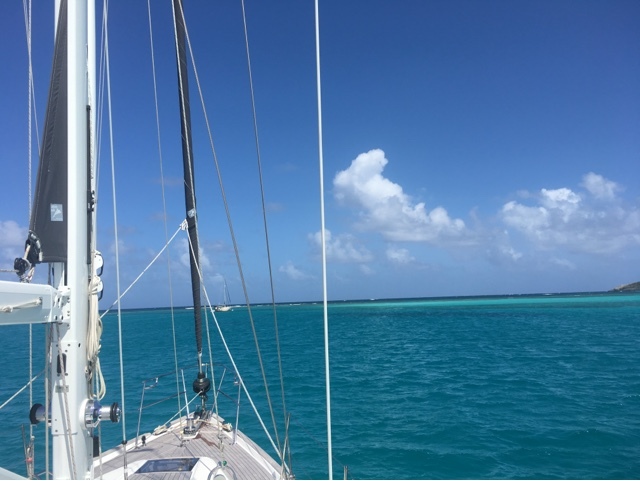 We anchored right out by the reef, between Bird Island and Green Island, with clear air but soon found we were right on the kite surf path! Supertramp were there to meet us, so a plan for a BBQ that night was quickly hatched after a snorkelling trip. 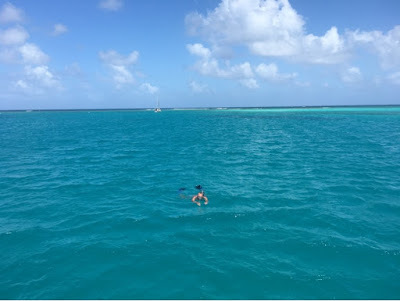 The reef is one of the best we have seen in the Caribbean, we saw lots of fish but the highlight for me was definitely swimming with a huge Spotted Eagle Ray. 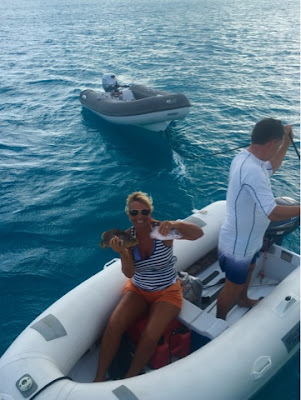 Fi spotted it and grabbed me and we got to swim with it for a good few minutes – very cool indeed. 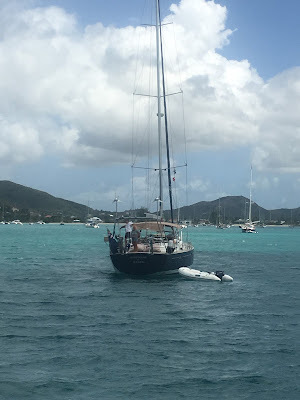 We shared a few drinks on Askari before lighting the BBQ, then within minutes a huge squall came over with over 30 knots of winds and a huge amount of rain….. Instruments on, watching both Askari and Supertramp hunkered under sprayhood – I know Steve and Fi didn’t fancy the idea of getting in their dinghy!! 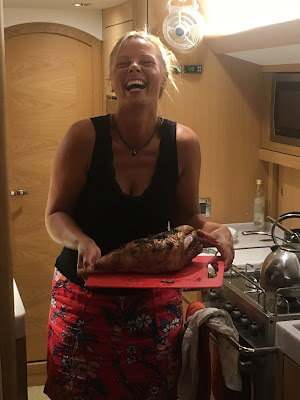 All was good after a few minutes the squall past and we were amazed to find our BBQ still alight ready for a feast! There may have been a few sore heads the next day but we managed a gentle snorkel and a beach visit. 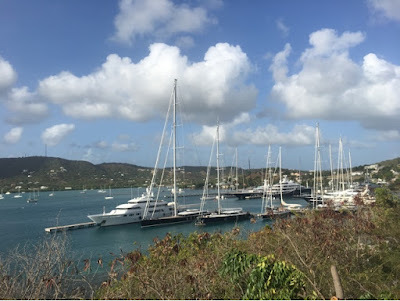 Supertramp was due to leave but didn’t manage it – oops!